Stage and film actor BB with Meryl Streep (left photo) and John Lloyd Cruz in Berlin. Such a versatile actor and fun person to be with. MANILA, Philippines — Out of the blue, the Facebook announcement was short and simple: Stage and film actor Bernardo Bernardo (BB) said goodbye to showbiz and theater life Thursday morning of March 8. It will be recalled that friends and colleagues hosted a fundraising concert last Jan. 14 when his doctors found a tumor in his pancreas. But that is all behind him now. The showbiz community will remember him as the performer who won his first Best Actor award for Ishmael Bernal’s City After Dark (also known as Manila by Night). He also won Best Supporting Actor for Lawrence Fajardo’s Imbisibol. Last year, moviegoers saw his last films namely, Ang Larawan and The Significant Other. He met Meryl Streep while attending the Berlin Film Festival where he played a role in the Lav Diaz movie Hele sa Hiwagang Hapis. Many years back on TV, BB was Steve Carpio in the hit sitcom, Home Along Da Riles. Bernardo Bernardo as Manay Sharon in Ishmael Bernal’s Manila by Night. Bernardo was born in Sta. Ana, Manila, grew up in Singalong and studied journalism at the University of Santo Tomas (UST) — but never got to practice his chosen course even as he became editor of the UST Varsitarian. 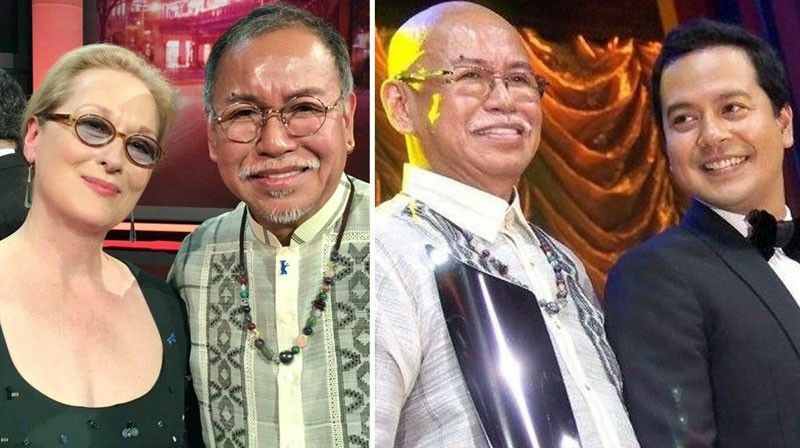 Bernardo has logged more than 44 years in theater and film, plus long stints in such popular TV sitcoms as Flor de Luna, Vilma Tonight, Home Along Da Riles and Labs Ko Si Babes, among others. His first Best Actor trophy (for Manila by Night) was for him very special. He was up against two of his favorite actors, Dindo Fernando for Langis at Tubig and Phillip Salvador for Bona. The role was, from the start, a labor of love. He got a measly P15,000 talent fee, but he felt the hard work paid off. Friends and colleagues were naturally shocked by his demise. Direk Joel Lamangan said BB was the epitome of professionalism.